Hstart is a little utility which allows you to run console applications and batch files without any windows. There is an updated version of Hstart with new /WAIT and /HELP flags. When using this /WAIT flag with multiple command lines (e.g. 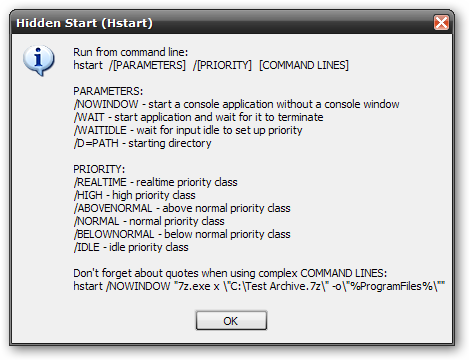 hstart /WAIT "command1" "command2"), Hstart starts command1 and command2 continuously and returns an unsuccessful code (non-NULL) if one of these processes return it.